Here's your five minute yoga break for this week! Lay on your back with your knees bent and feet flat on the floor. 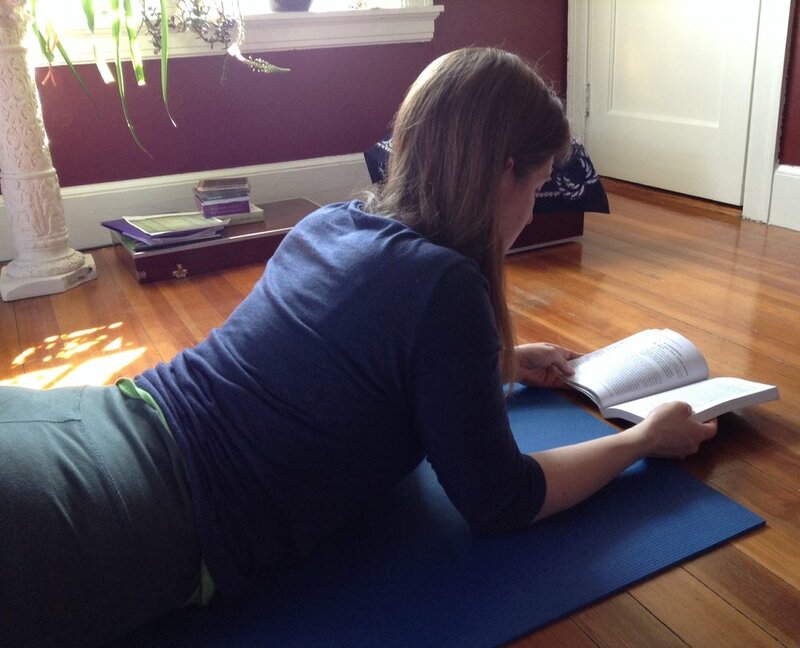 Lift your hips and put them down onto a couple of yoga blocks, some books or maybe a big pillow. Let your arms rest along side your body with the palms facing up. 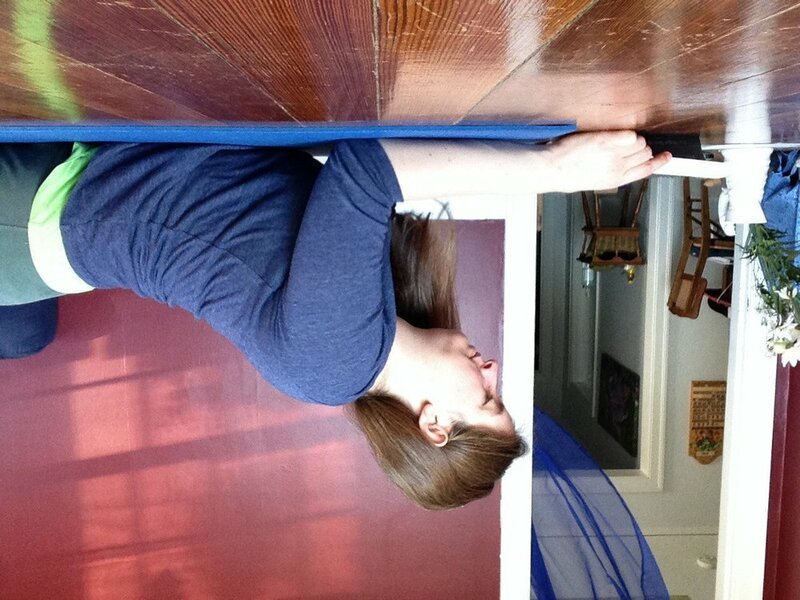 With each exhalation, let your whole body sink deeper into the support of your props and the floor. When your timer goes off, lift your hips off your props, move them to the side and slowly roll your spine down drawing your knees together to touch and walking your feet wide so your low legs make an inverted V shape for a few breaths. Hug your knees to your chest and circle them in both directions a few times. Roll to your right side and press up to seated. Take a five-minute yoga break! Come into downward facing dog. Breathe deep into your belly and out from your belly. Hold the pose for as long as you can without over straining. When your finished, bring your knees down and press back to child’s pose. Breathe here until you can come back into downward facing dog. Repeat this process until your timer goes off. Can’t make it to the studio today?! Take a five-minute yoga break! Set your timer for 5 minutes and lie down on your back in Shavasana. Breathe here. When the timer goes off, draw your knees into your chest, roll to your right side and come up to seated. Notice how you feel. Yes you just did a yoga practice! Isn’t that great?! Remember there are no yoga police!